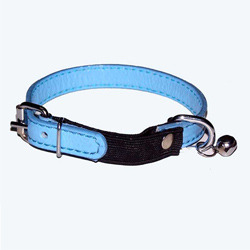 We are counted amongst the foremost exporters of superior quality Cat Collars. The main objective of our organization is to provide our clients a wide range of Cat Collars catering to their requirements and also at par with the international standards. Our team of experts and professionals makes us one of the reputed manufacturers of cat coats and other coat accessories.